Ethylene Propylene Diene Monomer (EPDM) roofing is a type of thermoset membrane roof material. It is the most common material used to create rubber roofs and is derived from oil and natural gas. EPDM roofs are widely used in commercial and residential applications and are primarily designed for flat or low-slope roofing structures. EPDM roofing is a single-ply rubber membrane ranging from about 45mm to 60mm in thickness. It's available in rolls as wide as 50 feet, though many rubber roofs require much narrower EPDM materials. Standard EPDM membrane provides a smooth black finish, though some have pigments or dyes added, or can be coated, to create a white finish. A white surface, or "cool roof," reflects the sun's rays and minimizes heat absorption through the roof, which in turn reduces interior cooling costs. Like other single-ply membrane roofs, EPDM systems are lightweight and quick to install. They are effective at waterproofing the roof structure, and they last for many years with little to no maintenance. 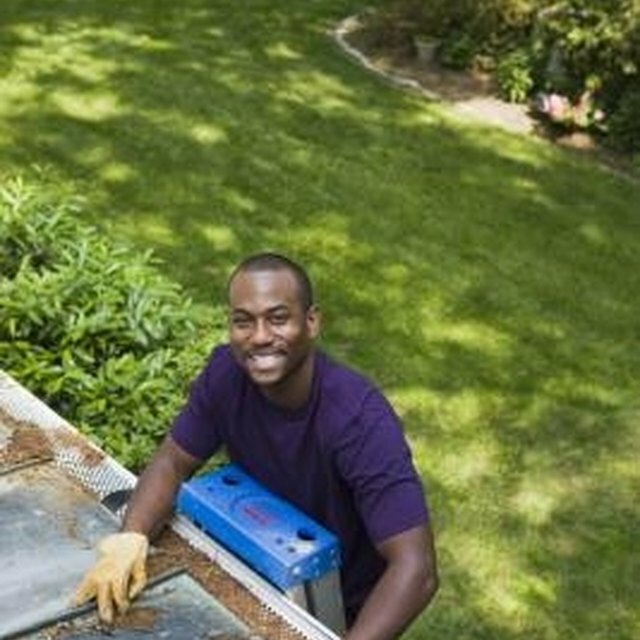 These roofs can also be patched fairly easily if damaged by punctures or tears. Installers may use a few different methods to install an EPDM roof. A fully adhered system is glued to the deck using roofing adhesive. Mechanically fastened rubber roofs are attached using nails or screws along each loose edge of material. Loose-laid systems are fastened only around the perimeter and are coated with gravel or aggregate to help weight down the loose-laid sections. All rubber roofs employ a liquid adhesive or heat-sealed seam tape to ensure watertight seams between roofing sheets. Most EPDM manufacturers recommend professional installation, which can add to the cost of these roofs. Wind uplift is an issue with single-ply EPDM roofs if they aren't regularly inspected and maintained. Most EPDM roof failure originates at seams and around penetrations, such as vent pipes. During high winds, if part of the membrane works loose, the wind can tear off a large portion of the membrane. While traditional shingles or rolled roofing may not perform well on flat roofs, rubber roofing is bonded at the seams to create a continuous barrier. This allows EPDM roofing to keep water from penetrating the roof structure and leaking into the home.